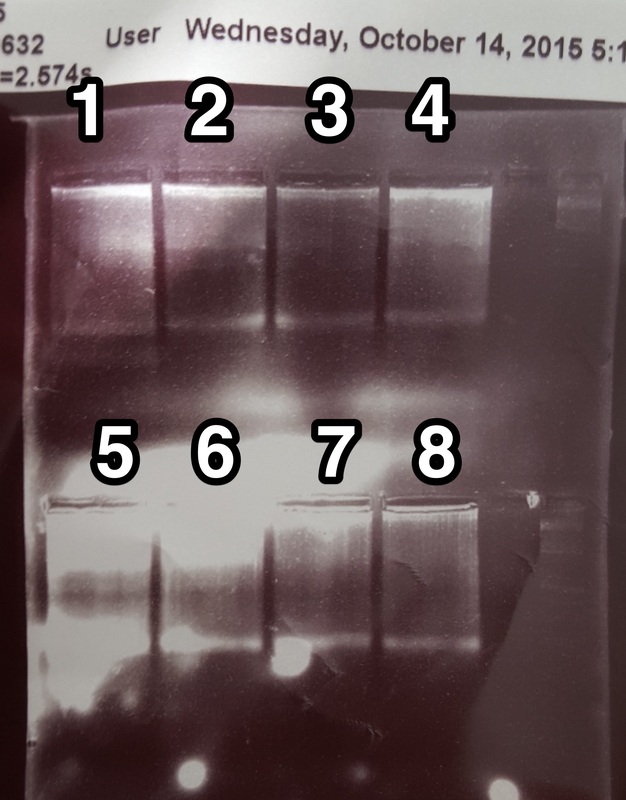 Finished gel extraction of samples B3-C4 from 2bRAD Library 1 started on 11/23/15 following the protocol described in that post. 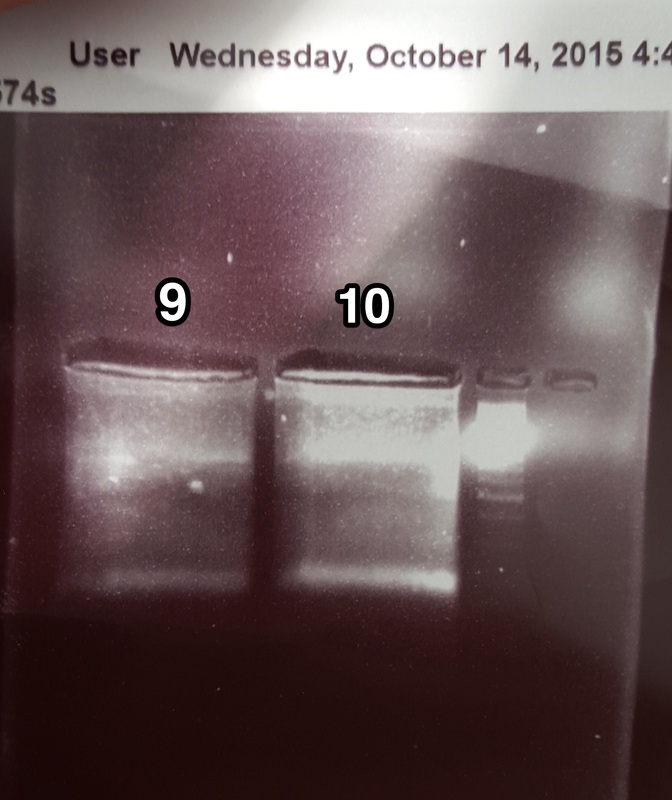 Did the PCR of the rest of Library 1 (B5-C12) with the new Taq. There is no H9, however (due to how I labelled on the spreadsheet). 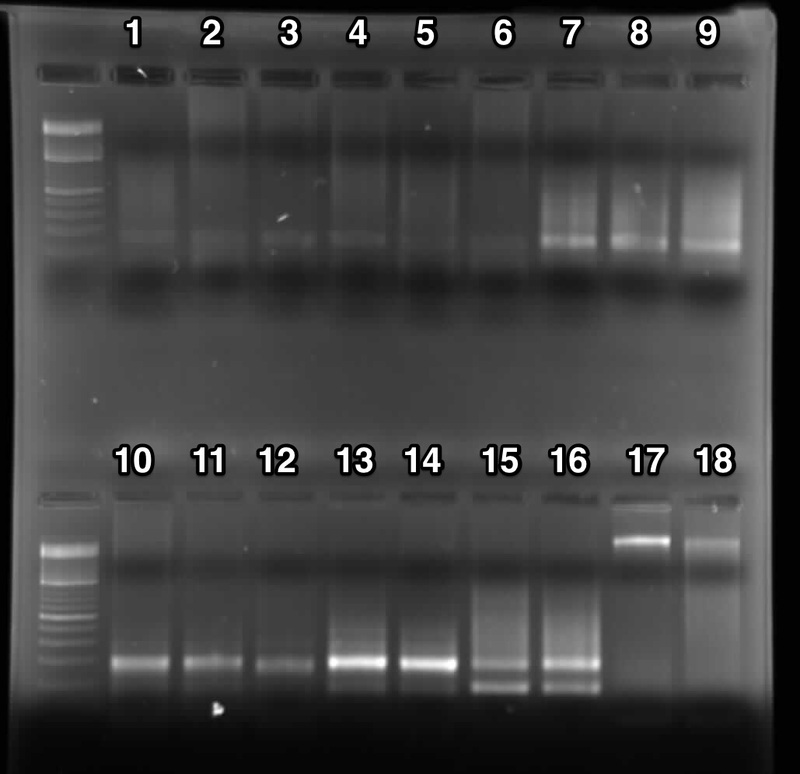 PCR master mix. Added 3.75 of each 1 uM barcode (HT and BC) to wells.